Are you looking for a children’s book that entertains and teaches at the same time? 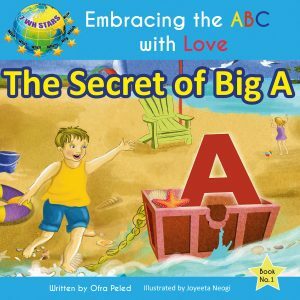 The Secret of Big A is the first in a series of 27 books that will help your children learn the English alphabet, while taking them on a magical journey through the world of letters! The books adopt a learning method based on the view of Prof. Gerhard Roth, an esteemed neurologist. You want to help your children learn? These books do more than that! Get them and help your children fall in love with learning!